From the rear side cover:As part of the Aviation Heritage Trail series, the airfields and interest in this book are concentrated in a particular area - in this case West Sussex, Hampshire, Dorset, Wiltshire and Cornwall. 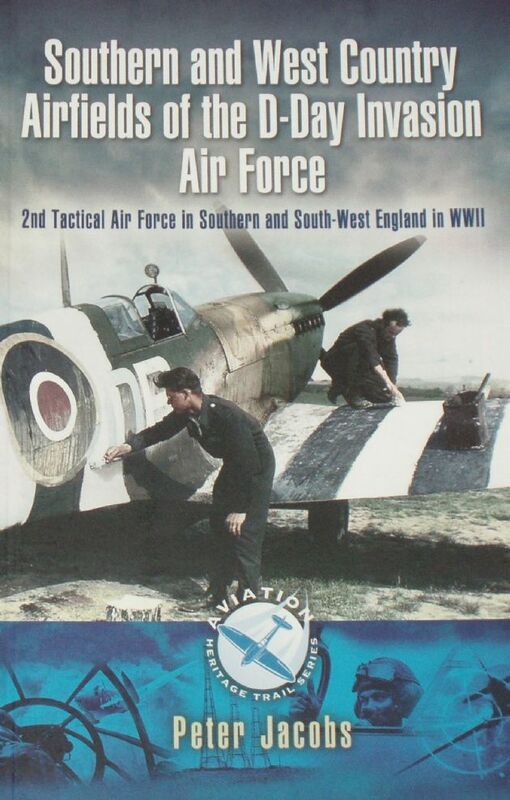 The South and South-west of England emerged from six years of war with a rich diversity of RAF bomber and fighter airfields used by the 2nd Tactical Air Force, both before and after the D-Day landings. Much of this proud legacy is now threatening to disappear. However, the tourist can combine visits to an abundance of disused and active airfields, country houses and museums with countless attractions, imaginative locations and broadland and coastal hideaways that have no equal. The airfields and other places of interest include Hartford Bridge, Lasham, Westhamptonett,Merston, Odiham, Holmsley South, Funtington, Hurn, Ford, Tangmere, Ibsley, Perranporth, Thruxton, Thorney Island, Appledram, Selesy,Needs Oar Point, Zeals, Lee-on-Solent and Bognor Regis.